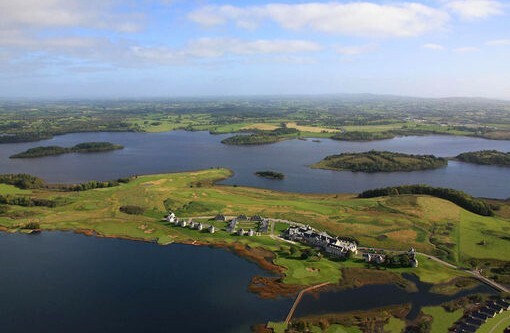 The venue for the G8 world leaders summit next month, the five-star Lough Erne Resort in Fermanagh, is back on the market with a price tag of £10 million. The resort had initially been put up for sale last year on the instructions of the joint administrators appointed to parent company Castle Hume Leisure in May 2011. However, last November, following what the Northern Ireland Fire and Rescue Service described at the time as an “intense fire”, it was withdrawn from sale. A major refurbishment programme to deal with the fire damage has since been completed. Industry sources say the resort previously garnered significant interest when it was first placed on the property market. They expect it will generate more this time around as a result of the publicity surrounding the G8 summit. The Lough Erne Resort has become well-known internationally through its association with golfer Rory McIlroy, and has been in business just six years. It was developed by Fermanagh businessman Jim Tracey, who claims to have spent £30 million and 10 years of his life bringing a dream to create a “world- renowned five-star luxury resort” to life. That dream was dashed, according to Mr Tracey, when Bank of Scotland Ireland – without, he says, any warning – called in his loan, estimated to be in the region of £25 million. He claims he was “left high and dry” by the bank. Should landlords be offered tax breaks to accept rent allowance tenants?